Last night ESPN began their coverage of the 2010 World Series of Poker Main Event with Days’ 1a and 1b of the poker tournament. 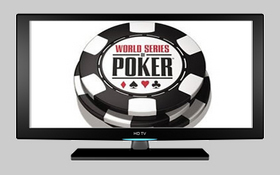 A number of notable poker players and celebrities were spotted during the two 1-hour episodes including featured players Mike “The Mouth” Matusow, Annette “Annette_15” Obrestad, and Everybody Loves Raymond Star Ray Romano –who has become a WSOP regular. Some highlights from the telecast included an in-depth look at the prop bet between Mike Matusow and Ted Forrest; an amusing anecdote told by Eric Seidel that ends with a Scrabble Hustler walking home through the snow in his socks; Mike Matusow falling victim to a misdeal that would have given him Pocket Aces; and even an appearance by a player dressed as the Caped Crusader –that’s Batman for anyone who is living under a rock– who apparently got bad directions to Comic Con 2010. Some of the other featured players included past Main Event Champions Greg Raymer, Jamie Gold, Chris Moneymaker, Bobby Baldwin, and Dan Harrington: Popular pros Tiffany Michelle, Maria Ho, Phil Laak, Erick Lindgren, Gavin Smith, Bertrand “ElkY” Grosspelier, TJ Cloutier, and Barry Shulman. ESPN’s WSOP coverage will continue next week with Days’ 1c and 1d. This entry was posted on Wednesday, August 11th, 2010 at 3:33 pm and is filed under Poker News. You can follow any responses to this entry through the RSS 2.0 feed. You can leave a response, or trackback from your own site.